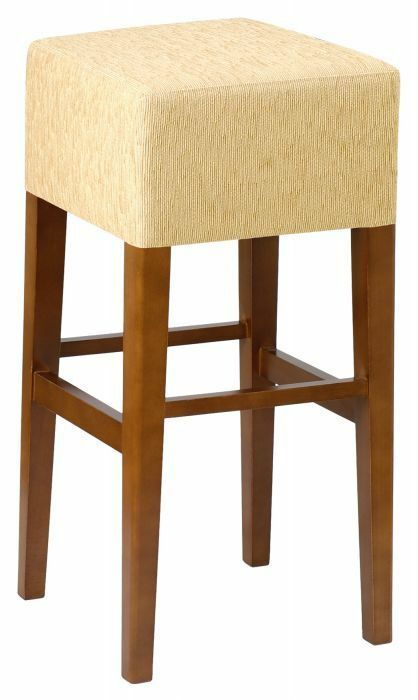 Bar stools with a faux leather seat and European solid beech frame. Seat available in a choice of 12 faux leather colours. Normal lead time is 15-20 days from order. Designer bar stool with a solid beech frame and padded seat. Standard lead time of 15-20 working days. Constructed to commercial standard.